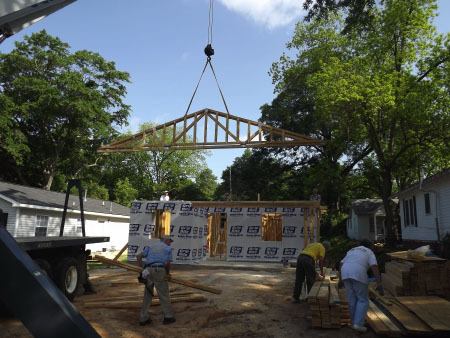 El Dorado Habitat for Humanity was the first affiliate formed in the state of Arkansas. 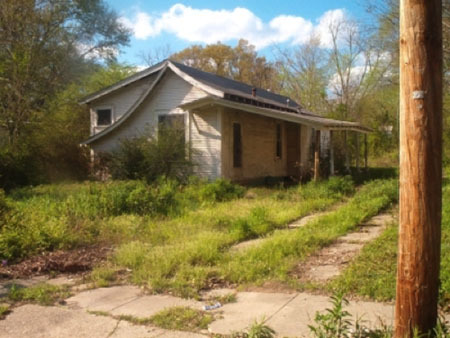 In 1988, Joy and Wendell Barbaree, former teachers and retirees, "caught the vision" and decided South Arkansas needed to rid itself of substandard housing. As is the case elsewhere, many, many people live in substandard houses or mobile home. People pay high rent and high utility bill, yet still must endure water leaks, bad neighborhoods, uncooperative landlords and a bleak future. 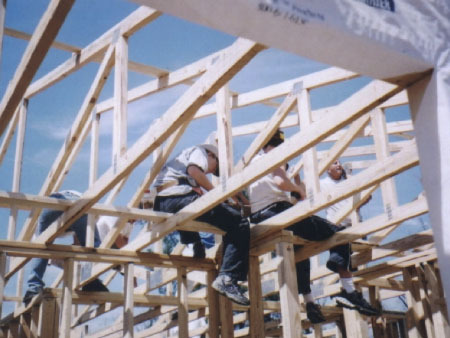 Like all Habitat affiliates in the United States, El Dorado HFH is a non-profit, Christian housing ministry whose ultimate goal is to eliminate poverty housing and homelessness from the face of the earth by constructing and building adequate and basic housing. All of our words and actions are for the ultimate purpose of putting shelter on the hearts and minds of people in such a powerful way that poverty housing and homelessness become socially, politically and religiously unacceptable in our nation and world. The affiliate provides a "hand up", not simply a handout. Our homeowners are teaching assistants, secretaries, cooks, truck drivers, hospital workers and nursing home employees. Many are single parents struggling to make ends meet. Each homeowner must provide 500 hours of "sweat equity" in the building of their house. More than 140 people, including approximately 100 children, are living in quality, affordable homes because of their partnership with El Dorado Habitat for Humanity. In return, our homeowners repay the local affiliate for the cost of the construction of their home through a no-interest loan. All of our homeowners pay $300 or less per month. This amount also includes their escrow payment with covers their property taxes and homeowners insurance each year. The community of El Dorado benefits from neighborhood improvement and stability and the payment of property taxes held by the homeowners. El Dorado Habitat for Humanity has built 40 homes in our community as of 2015. The average cost of a new Habitat home in El Dorado is $55,000.00. This is less than the national average for a Habitat home and offers our homeowners a real chance at changing the quality of life for their families. El Dorado Habitat for Humanity has tithed over $60,000 to use towards the building of homes overseas. We have sponsored a house in the Jimmy Carter Work Project in the Philippines, houses in Guatemala, Northern Ireland and Slovakia. Currently our tithe partner is Romania. One of the most important sources of funding is from our existing homeowners. Our homeowners pay mortgage payments on average of $53,000 per year to El Dorado Habitat for Humanity. These funds are then used to build more houses in our community. These mortgage payments from our homeowners becoming a revolving source of funds to use to eliminate substandard housing in our community. From the first house dedicated in 1989 to our 40th house in 2015, the El Dorado Habitat affiliate has seen both good times and bad. The larger picture remains the same—to eliminate substandard, unhealthy, costly housing from our city of 18,000. The affiliate is looking to the future in 2015. 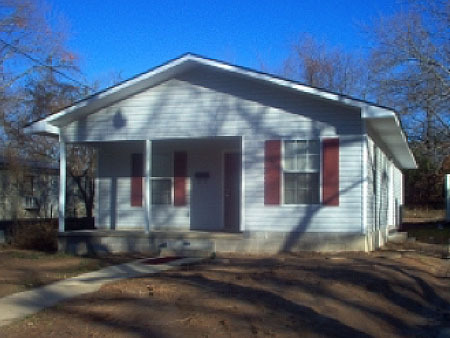 El Dorado Habitat for Humanity has completed the first home in our Askew Addition Revitalization Project. We are currently working to build infrastructure in this area in order to build many more houses. We are looking forward to when this neighborhood just south of Hillsboro and near all of our downtown revitalization investments will once again be a vibrant, working, family filled neighborhood. El Dorado Habitat for Humanity celebrates our accomplishments from the last twenty five years and we are looking forward to all that we can accomplish together as we seek to eliminate substandard housing from our community. We hope you will join us as we continue to work toward our goal of an El Dorado free from substandard housing.